PRAYER PROMPT ••• Some mornings, when I study God’s Word, I’ll bundle up with a throw blanket. Especially now as the mornings are colder. And every time, I end up fighting a battle. The blanket is meant to ward off the chill and help me be comfortable. But as the hour progresses, I find myself getting too comfortable. All warm and cozy, it gets easier to say “five more minutes…” with each moment. Complacency sets in until I find myself rushing like a crazy woman. Staying a little chilly keeps me alert and is a far better way for me to study, pray, and write. This morning, I succumbed to the temptation to be comfortable with my blanket but the moment I was started designing the prayer prompt graphic, sleepiness washed over. I had to kick that blanket off! 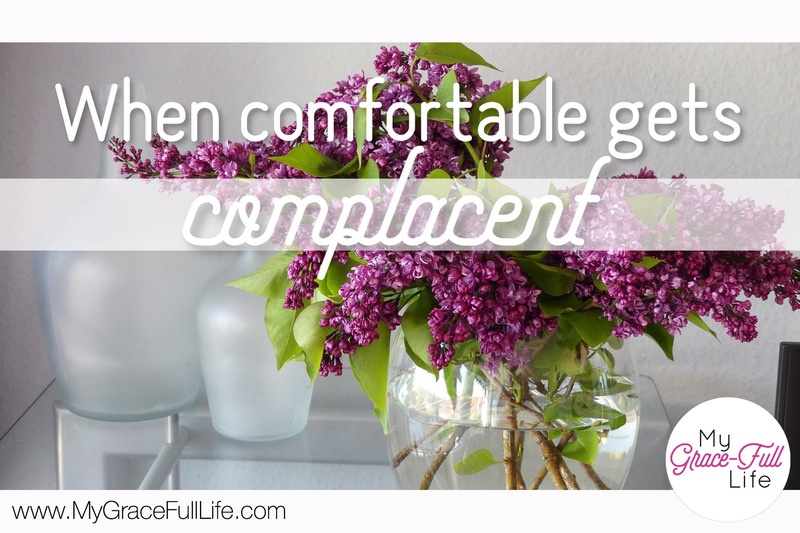 How many ways do we let our comfort turn into complacency? Talk about your motivation to be obedient! Without context, it may seem harsh to hold Ezekiel responsible for another’s soul. But God didn’t tell Ezekiel to beat people with a Bible until they surrendered. His job was just to share what God said; he wasn’t responsible for how they responded. His obedience was rooted in sharing God’s message. We all have a similar obligation. As Christians, we are called to share the Good News! If you are a recipient of God’s grace and mercy, why wouldn’t you share His Gospel so others can know it too? There’s more than enough to go around for anyone who wants it! Kick off that blanket that has you pulled into complacency and share Jesus! It’s easy to think that’s the responsibility of preachers and evangelists, but Jesus didn’t say that. No resumes or specific job skills required other than faith in Jesus. By the world’s definition of who’s who, I’m not remotely qualified to share the Gospel. A woman who spent the better part of two decades as a prodigal doing her own thing, I don’t have a degree in anything, much less a degree in theology! When the Holy Spirit put this assignment on my heart, I wanted to bundle up in a blanket and succumb to sleep. But He wasn’t going to let me be complacent. Nor should I want to be. God’s been too good to me to not obey Him. What is the Holy Spirit calling you to do? Maybe your direction is to simply live out your faith boldly so that others want to know what is different about you. A strong example of Christian love may be your exact brand of ministry! God doesn’t send everyone to a foreign mission field, but He does give each of a mission. Today, as you pray, ask the Holy Spirit to remove any complacency you have that’s preventing you from following God’s calling. If you aren’t sure of your role in sharing the Gospel, ask Him for direction. Ask Him for opportunities to obey. Pray that your comfort in knowing your saved never moves into complacency that prevents you from leading another to Christ.